Family foundations are often established by individuals as part of a philanthropic plan. However, often they are not fully aware of the many challenges associated with managing such a foundation, which can diminish the joy of giving. Occasionally family foundations make the decision to close but still have the desire to carry out their philanthropic plan. By transferring funds to the Quad Cities Community Foundation donors can be confident that their gift will continue to impact the region for years to come. Private Foundations contract with the Quad Cities Community Foundation on a variety of administration and grantmaking activities. Many corporations consider establishing a private foundation as part of an overall philanthropic plan. However, often they are not fully aware of the many challenges associated with managing such a foundation, which can diminish efficiency. 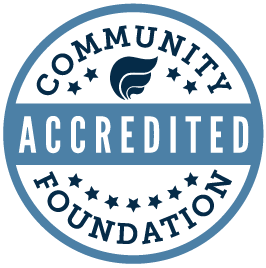 The Community Foundation offers a corporate foundation alternative, such as Corporate Foundation Funds. This flexible alternative provides the benefits of a private foundation, while freeing companies from the burden of administration. In addition, companies can enjoy greater tax benefits and anonymity, both of which are not possible through a private foundation. For those who have already established a private foundation, we offer services to help you manage the administrative challenges. Whether you are considering a private foundation, or have already established one, let the Community Foundation be your philanthropic partner.